In the first expansion of Final Fantasy, the Dark Knight is a tanking job. However, in the Final Fantasy XIV Heavensward, you have to complete the main story for A Realm Reborn, usually you are at level 30 higher, then head to Ishgard and speak to the Ishgardian Citizen to start the Dark Knight quest. After a few cut scenes, you will get access to the Dark Knight job which starts at level 30. As long as you complete the quest, you can start the next Dark Knight job quest and get the Darkside ability. It is helpful for you to complete the second quest in order to get it out of the way now. When Dark Knight is a unique tanking class, it shares a bit with Warrior and Paladin. Normally, Dark Knight has two stances which depend on the situation. One is Grit which is similar to the Paladin stance of Shield Oath. It can generate enmity while reducing damage taken by 20 percent. Moreover, it reduces the damage output of the Dark Knight by 20%. This is the primary tanking stance and should be used at the beginning of a battle anytime you are the main tank. The other stance to be a Dark Knight is Darkside which can activate the Dark Knight inflicts 15 % more damage with the MP slowly drains in the process. Different from the Warrior and Paladin stances, Dark Knight can active Darkside when Grit is active. When the Dark Knight has MP to consume, the damage output of a Dark Knight with both Darkside and Grit activate is only decreased by 5%, instead of the normal 20% redution from Grit. As you know, Paladin uses a combination of TP and MP when tanking, and Warrior relies mainly on TP. While the Dark Knight tanks most with MP. If you run out of MP, you lose lots of your tools and general versatility as a Dark Knight. Therefore, it is quite important to focus on your MP. It can be a good idea to request Mage’s Balled if you have one when your MP begins to get very low. Nevertheless, it is not suggested to rely on most Bards to do this on their own. You should be the Grit stance when you first fight against an enemy while tanking as Dark Knight. Once you have gather hate with your Hard Slash, Spinning Slash, Power Slash combo, you can activate Darkside to increase your damage output. As many of your attacks consume MP while in Darkside, except for the stance draining MP slowly, it is of great importance to use the Hard Slash, then Syphon Strike, and Souleater combo to replenish some of your lost MP. As a Dark Knight, you should use Unleash to generate enmity on multiple enemies at once, you can use Scourge which is the Dark Knight’s damage over time attack and also generate a bit of enmity. Though it does not generate as much enmity as Unleash, it still increase to your enmity and is helpful in the long run. Just like other tanks, Dark Knight can stun enemies with low Blow ability. 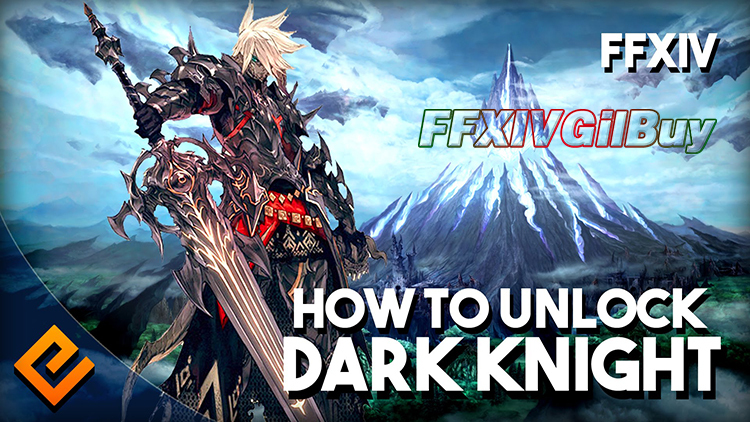 Hope this guide can be helpful for your to be a good Dark Knight in Final Fantasy XIV. If you want to buy FFXIV Gil, FFXIVGilBuy offers cheap price and 100% safe delivery!